Fiji Kava Limited (ASX:FIJ), an Australian kava company has commenced trading since Thursday on the Australian Securities Exchange (ASX), following a successful initial public offer (IPO). The oversubscribed offer raised $5.2 million before costs, with offers scaled back. Strong support was received from institutional and retail shareholders in both Australia and Fiji and includes investment from Strategic Global Funds and Fijian distribution partner – Jack’s of Fiji. A total of 26,000,000 fully paid ordinary shares at $0.20 per share were issued under the offer. 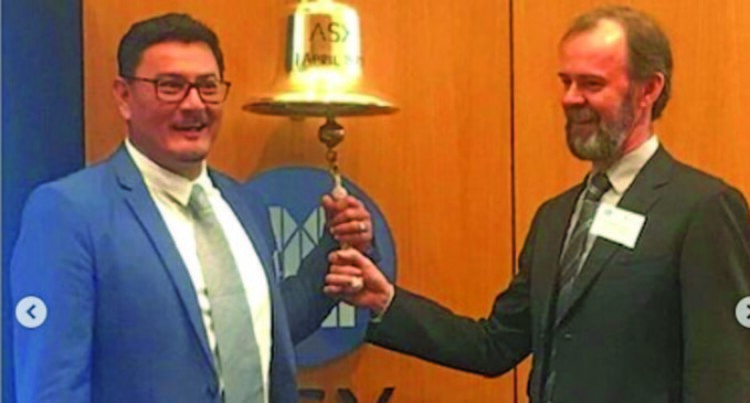 The raise was led by PAC Partners, supported by Cicero Advisory and Kontiki Capital. Fiji Kava CEO Zane Yoshida states: “Today marks a huge milestone for us and we are excited to be the first kava company to be listed on any exchange globally. Kava has been used in the South Pacific for over 3,000 years in traditional kava ceremonies and is known for its relaxation and therapeutic benefits. More recently, the medicinal benefits of kava and its active ingredient kavalactone are becoming widely recognised as a natural, non-prescription alternative for the treatment of anxiety and other medical conditions. As the first foreign company to be granted Fijian Government approval to operate in the kava industry, Fiji Kava is targeting the US$15 billion (FJ$31.8m) global benzodiazepine market1 with a range of kava products. Providing a natural alternative to anti-anxiety prescription medications, such as Valium and Xanax, the Company sells its range of TGA and FDA compliant “Taki Mai” branded kava products in Fiji and is preparing to launch under the Fiji Kava brand in Australia in early 2019. Fiji Kava’s products are backed by years of joint research conducted with the Australian Centre for International Agricultural Research, the University of the South Pacific and the University of Melbourne. Kavalactone, the active ingredient in kava, is extracted from select noble kava cultivars, selected to target specific medical conditions. The Company has completcontrol over its vertically integrated supply chain in a true farm-to-shelf operation and has established a 111-acre nucleus farm in Levuka, on the island of Ovalau. Kava is grown using tissue culture and mass propagation methods, ensuring standardisation of the kavalactone extracted from these plants for processing and manufacture using HACCP and Good Manufacturing Practice (GMP). Vertical integration and control of the supply chain ensures Fiji Kava maintains compliance with the Codex Alimentarius Kava Standard2, an international standard currently being developed and supported by the Food and Agriculture Organisation of the United Nations and World Health Organisations. To test the efficacy of different kava cultivars in treating different medical conditions, Fiji Kava will conduct human clinical trials in Sydney in conjunction with the National Institute of Complementary Medicine (NICM). Under the direction of Fiji Kava’s Professor Jerome Sarris, a trial to compare the Company’s kava tablets to Valium (2.5mg/day) is expected to commence, subject to finalised research plan in respect to trial design/s, timeline and logistics. Further trials to establish the efficacy of Fiji Kava’s products, the efficacy of certain cultivars to target insomnia, muscle recovery and cardiovascular disease and the opportunity to develop medical cannabis/kava combinations targeting a variety of indications have been identified by the Company.